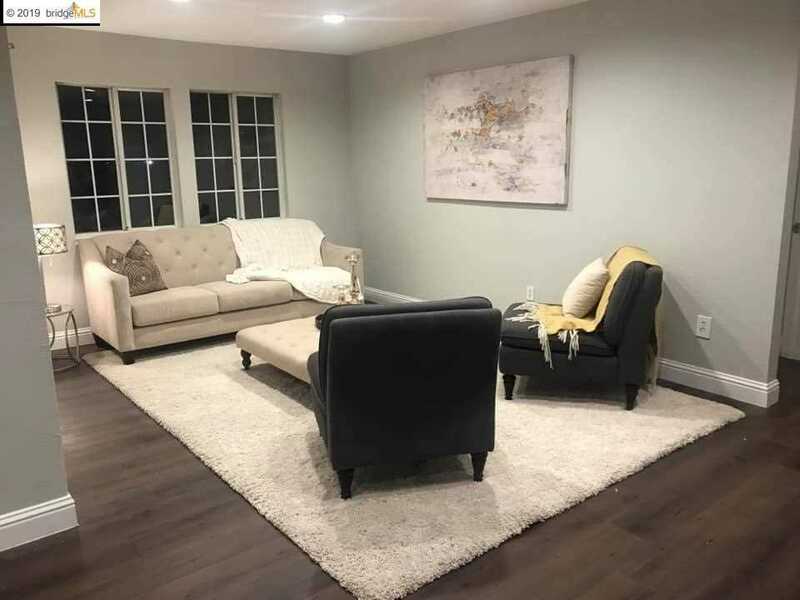 BEAUTIFULLY REMODELED 3 BEDROOM 2 BATHROOM HOME, BRAND NEW KITCHEN, BATHROOMS, LAMINATE FLOORS, FRESH PAINT, DETACHED 2 CAR GARAGE, ADDITIONAL ROOM (PERMITTED OF THE PATIO) POSSIBLE IN-LAW SETUP, 4th BEDROOM OR OFFICE. ELEMENTARY SCHOOL IS IN WALKING DISTANCE AND LOCATED AT THE END OF THE STREET, 1-2 MINUTE WALK. DOWNTOWN ANTIOCH AND MARINA 2-3 MINUTE DRIVE,EASY ACCESS TO THE FREEWAY, SHOPPING AND MASS TRANSIT. BART IS NOW RUNNING IN ANTIOCH MAKING COMMUTING TO WORK IN THE BAY AREA MUCH EASIER. Motivated Seller, seller willing to pay closing costs at full asking price!!! SchoolsClick map icons below to view information for schools near 1201 August Antioch, CA 94509. Listing provided courtesy of Roland Osage, Marker Real Estate Inc.
Home for sale at 1201 August Antioch, CA 94509. Description: The property at 1201 August Antioch, CA 94509 with the MLS# 40850452 is currently listed for $399,000 and has been on the Antioch market for 72 days. You are viewing the details of the real estate listing from the East Area MLS at 1201 August Antioch, CA 94509, which features 3 bedrooms and 2 bathrooms, and has approximately 1136 sq.ft. of living area.